Description: It is our pleasure to announce the sixth International Meeting on Emerging Diseases and Surveillance, IMED 2016 to be held in Vienna, Austria from 4–7 November 2016. For those whose work deals with threats from infectious agents, IMED 2016 will once again bring leading scientists, clinicians and policy makers to Vienna to present new knowledge and breakthroughs and discuss how to discover, detect, understand, prevent and respond to outbreaks of emerging pathogens. One Health is at the heart of IMED and the work of our professionals with the understanding that infectious diseases cross political and geographic boundaries, posing a risk to all peoples. Under resourced countries disproportionately bear the burden of infectious diseases, necessitating surveillance and treatment measures that address all aspects of health. We hope you will join us for this exciting event in Vienna this November. Description: Pandemics and emerging diseases cause catastrophic morbidity, mortality, and economic hardship. They can occur anywhere at any time. Outbreaks that begin in the most remote parts of the world now spread swiftly to urban centers in countries far away. Over the coming decades, climate change is expected to spread disease-carrying vectors into temperate regions while unpredictable meteorological conditions, including droughts and extreme weather events, will cause additional millions to migrate. Rapid recognition and response to potential pandemics and emerging diseases have become essential global health priorities, but efforts to expand and improve the collection, sharing, and analysis of data have lagged behind. To accelerate the development of innovative approaches to detect, predict, and prevent the next outbreak, the Hackathon at IMED 2016 will bring together multidisciplinary teams to develop practice-oriented solutions at the intersections of climate change, migration, technology, medicine, social economy, and the public and private sectors. Prototype projects will be judged by an expert team of public health professionals with winning projects receiving monetary awards and unique mentorship sessions. 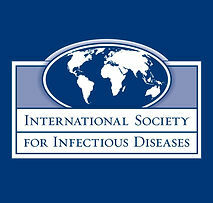 Awarded teams will presented to an international audience during the International Meeting on Emerging Diseases and Surveillance. A summary of all developed projects will be included in a special issue of the International Journal of Infectious Diseases and team progress will be communicated through our social media channels. To apply, visit www.hackathon.isid.org/apply. Applications are being accepted on a rolling basis. To date, over 15-unique disciplines are represented with participants from over 30-countries. Applications close October 24th, 2016. We look forward to reviewing your application and hope to see you in Vienna this November! Description: The importance of human health interlinkages with nature and the environment in general has gained attention in science, policy and society at large. The recent (2015) State of Knowledge review of the Convention on Biological Diversity (CBD) and the World Health Organization (WHO) addresses the diversity and complexity of the interlinkage between biodiversity and human health and the opportunities and challenges that go with it. In order to better address all (or subsets of) interrelated aspects in an integrated/holistic manner, several integrative frameworks were developed over time. The CDB-WHO State of Knowledge review refers to several of these, such as OneHealth, EcoHealth, the ecosystem approach and One Medicine. One of the key messages from the review to the scientific and policy community and society at large is promotion of the OneHealth concept as a common framework under which all these (other) relevant integrative frameworks can be connected. In a recent CBD parties meeting (SBSTTA November 2015) this CBD-WHO recommendation (among other) was adopted. This means that CBD parties, among which quite some European countries, support the OneHealth concept for the mentioned integration ambitions, and in the near future will have to report to the CBD on state of the art and progress. In the European OneHealth/EcoHealth workshop we aim to support these ambitions. In order to not limit our focus beforehand, we explicitly combine the OneHealth and the EcoHealth concepts, illustrating that we aim to go beyond narrow and restricted framings of integrative concepts. In the workshop we will rather focus on connections and build bridges rather than fences. We will bring together people from different communities in science, policy and practice to exchange experience and views, and discuss opportunities and challenges for integration and practice. Experienced OneHealth/EcoHealth experts, networks and projects from different countries within Europe but also beyond, like developing countries in the South, will contribute to the workshop, as will representatives from the CDB-WHO State of Knowledge review. The program of the workshop provides a combination of topical and generic integrative sessions. In the topical sessions, specialists can exchange experiences from their specialized fields and projects, whilst also addressing the generic OneHealth perspective. In the generic OneHealth part of the program all participants will jointly discuss experiences, opportunities and challenges surpassing more restricted topical foci. This will also build upon a survey that will precede the workshop in which a wide range of relevant experts from science, policy and societal practice will be consulted to give their perspective on the OneHealth ambition. Together we aim to formulate key lessons learned and key steps forward messages. Description: On October 20th, 2016 Flanders Vaccine is happy to host its first edition of “Immunity for Health”: the Flanders Vaccine annual flagship event where all stakeholders, both from the human and animal health sector, working in the field of immunology, vaccinology, immune-oncology and infectious diseases are invited to meet, interact and start collaborations. This year the event is co-organized with PROVAXS at the occassion of their 10th anniversary and will focus on learning from existing worldwide consortia and on how to implement these best practices in setting up a strategic research agenda for public private partnerships. Moreover, we will offer you the opportunity to pitch new technologies or R&D breakthroughs. In this way, you get to know all stakeholders’ needs, technological specs and possible contributions in order to identify the opportunities you can work on together in 2017. On October 21st, 2016 you can immediately further explore newly made connections via a B-to-B session with one-on-one meetings. Flanders Vaccine also aims to build further on the research topics identified during the Collaboration Workshop in May 2016. Immunity for Health also focuses on working cross-border to complement international strengths and excellence in research and industry. Flanders Vaccine, in partnership with Flanders Investment & Trade, Visegrad Embassies and FlandersBio is happy to welcome this year a delegation of the immunology-vaccinology-infectious diseases and immune-oncology scene of the Visegrad countries. Description: "Health in the Everyday Environment" is an evening of academic talks and public discussion, dedicated to raising awareness about One Health. Invited speakers are inspiring researchers and professionals from the fields of architecture, microbiology, marine biology, human and veterinary medicine, and public health. Topics encompass the effects of environment on human health, sustainability and our impact on the ecosystem. Organizers of the event are a collective of undergraduate and postgraduate students from various disciplines. The language of the event is Finnish. The event is open for public and will be streamed online. Description: One Health day Alfort is a local event in ENVA to raise Alfort's students awareness about One Health and to inform about the concept. Description: At Freie Universität Berlin are some students volunteering for the NGO Vétérinaires Sans Frontières- Germany. These students are organizing together with IVSA and bvvd the One Health- event. We invited Prof. Dr. Dr. Ulrichs and Antonia Braus as speakers. PhD Antje Hoppenheit will lead us through the evening. The presentations will give the participants an overview of tuberculosis as a zoonosis and the importance of milk for Pastoralists, as well as an insight into the concept of One Health. Description: The workshop will focus on the topics antibiotics databases, inhibition of decomposition mechanisms as well as the improvement of environmental and consumer protection through knowledge transfer. The aim of the workshop is to develop new approaches to improve the implementation of advanced hygiene measures at the farm level that are easy to perform and thus accepted by relevant targeted groups. 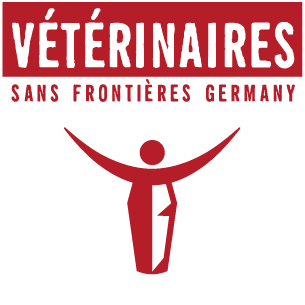 Description: SIVtro - Vétérinaires Sans Frontières Italy (VSF I) is an NGO involved in international veterinary cooperation and part of Vétérinaires Sans Frontières International (VSF International) network. The contexts in which SIVtro - VSF Italy (VSF I) works are characterized by low technology where, in many cases, simple veterinary practices may be useful to improve animal health, product quality and thus the well-being of small and medium scale farmers. In developing countries, the One Health concept goes beyond the multi-disciplinary approach where collaboration occurs mostly between academic experts, but includes also traditional farming knowledge and practices developed by local farmers. Animals, humans and environment are tightly correlated and this means that proper agricultural and farming practices can enhance local population quality of life. Two basic courses were proposed by VSF I in 2013 and 2015. After these positive experiences, this year's VSF I offers a course on practical aspects related to the management of animal health in settings were cooperation projects take place. 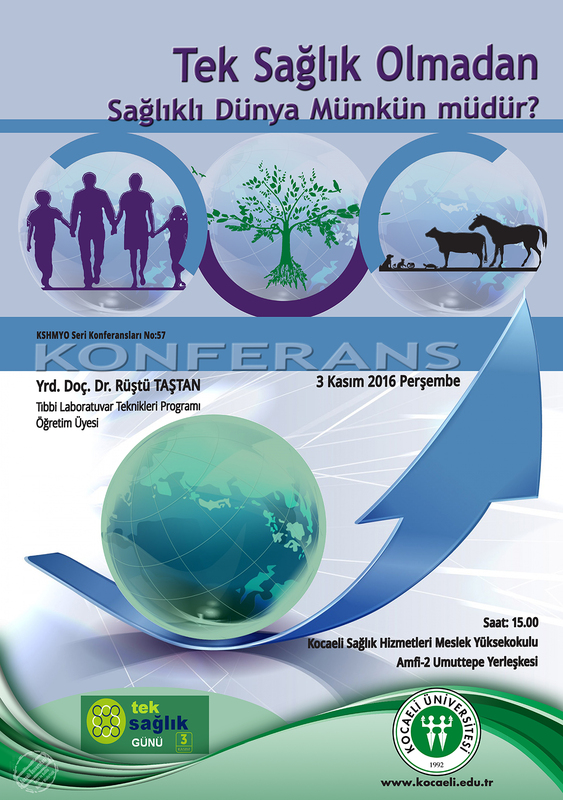 The topics have been inspired by the many activities carried out by VSF I and by the other associations belonging to VSF International, always looking for fair and sustainable practices of animal production to ensure food security and food sovereignty for humans and animals, the foundations for a stable One Health. The course, which will take place in a farm in Tuscany, is aimed to give participants the basic tools to address the main clinical problems of livestock, suggesting intervention strategies adapted to the resources available in low-tech countries. It will deal in particular with the main surgical and obstetric interventions that can be performed in the field, and with the techniques for proper foot care, with a specific focus on sheep and goats. Part of the course will be dedicated to the sustainable control of parasitic diseases, including sampling, diagnosis and treatment. Description: The International Conference “FACING THE INVASION OF ALIEN ARTHROPODS SPECIES: ecology, modelling and control of their economic impact and public health implications” will take place in Trento (Italy) from 7th to 9th November 2016. Contributions are welcome on any aspect of ecology, epidemiology and modelling related to the invasion of arthropod alien species and their economic impact on agriculture and public health. An International Scientific Committee was set up in collaboration with the Advisory Board of Lexem project in order to ensure the involvement and participation of a worldwide research community. Description: The one Health concept: the philosophy, concepts and work methodology behind it. The importance of shared educational programs. How to operationalize this concept in Portugal? Where and how do we go from here? Description: Organizing this One Health Inter-Regional European Conference comes as a natural consequence of the momentum that the One Health concept has gathered for the last couple of years. Romania is truly honored to be part of the One Health movement and firmly believes that due to its half of century of experience in comparative medicine and not only, will have a positive impact on the One Health trajectory. We invite all professions linked to One Health to attend this Conference, because One Health is best defined by the phrase: “It’s all connected!”. The conference will be organized under the high patronage of the President of Romania and under the auspices of the Federation of European Academies of Medicine (FEAM), by close collaboration of the Romanian Academy of Medical Sciences and the One Health New Medical Concept Association in Romania. Title: Join us in discovering the One Health universe! Description: One Health Romania will be celebrating the One Health Day by organizing an open gates event. Our aims are to raise awareness for the critical importance of the One Health concept and to attract new members. The event will be hosted at the headquarters of One Health Romania and will involve a series of presentations and a round table for discussions. Countries represented during this meeting will be Albania, Armenia, Bosnia & Herzegovina, Georgia, Kosovo, the Former Yugoslav Republic of Macedonia, Moldova, Montenegro, Serbia, Turkey and Ukraine. Thanks to the proposals raised by the network memebers, we have identified Crimean-Congo Haemorrhagic Fever (CCHF) virus as a priority in this Region. To respond to this need, we are organising a regional and multi-disciplinary meeting that will address clinical, entomological, epidemiological, diagnostic as well as human and animal health aspects of CCHF. This regional meeting will also be an opportunity to discuss current and common public health issues. For example, an update session about Zika virus has already been scheduled. Description: The use of antibiotics in clinical practice represented an achievement for the control of infectious diseases. Antibiotics have saved millions of lives, and have also brought a revolution in medicine. However, an increasing threat impairs the effectiveness of these drugs: bacterial resistance. Every day, there are more resistant bacteria and the antibiotics are less potent. WHO points out the need to address this serious global problem at human, animal and environment levels. Yet the battle is not lost. We can do something; among all. Description: One Health Sweden had our One Health Day event on October 24. The subject for our half day seminar was Comparative medicine which is fresh and growing and where they really see the connection of One Health in the research and many fields concerning diagnosis and treatment. Description: "Is healthy world possible without One Health" conference is a meeting to make awareness about the "One Health Day"
Description: Activities at the Royal Veterinary College (RVC) on the One Health Day focus on raising awareness, seeking a common understanding about the One Health approach, and disseminating One Health work conducted at the RVC. Information about the International One Healthy Day is published on RVC social media, high-screens located in public areas at both RVC campuses, and the learning management system. We use the public screens in common areas to show the great diversity of RVC One Health activities in education and research conducted by undergraduate and postgraduate students as well as staff members. One of the many strands of research showcased at RVC includes a project on the persistence of avian influenza in Vietnam, which will be widely disseminated on the day. Our MSc One Health students have prepared a vlog style video exploring what the term One Health means to them and their aspirations for the future. The RVC Global Health Society students will interview students and staff on the 3rd of November to discuss peoples' understanding of One Health and will upload key messages to twitter. Finally, publicly available One Health resources including reflections on the role of animal health professionals in One Health will be shared on social media.